I can hear the cars honking as well as the hit band Elbow crooning in my face bones. I thought it would be dorky but I love the hell outta this thing. 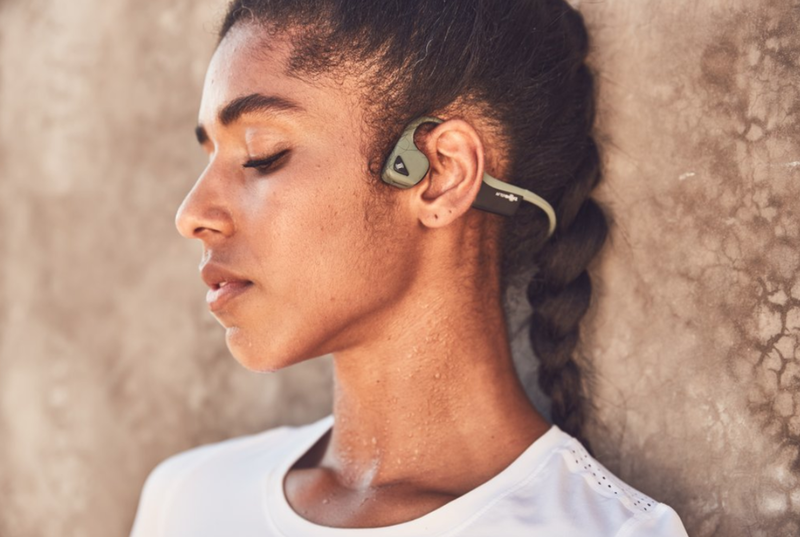 Jon Glaser loves gear and so do I. I jog when I travel and there is nothing funkier than running and hearing the constant hush hush of earbuds bouncing in your skull. I also have missed flights from not hearing when my flight was called. These AfterShockz by Trekz Air blew my mind. THE SOUND GOES THROUGH YOUR FACE BONES! If you are hard of hearing, the vibration may not be your jam, but I love these when there’s traffic and I want to hear the world and have At the Drive-In shred my face. The second thing may look dorky, but I’m hooked. I don’t travel with a laptop anymore. I use my new iPad and when I’m at a hotel and want to watch a film, my hand no longer gets tired (ahem). I haven’t tried it on a plane yet with the tray table, but I’m gonna! Nerd out with me and skip watching poop shows on the plane! It’s called a Gooseneck and it rules - holds iPads or phones and coils up and magically doesn’t collapse when it’s out. GOOSENECK!